As a member of a sales enablement team, I spend a lot of time in CRMs. Managing a CRM is nearly impossible with non-clean data. After we implement a new sales system within a CRM, we monitor it to make sure our clients are using it correctly while also ensuring that the data in it is healthy. Anyone in Sales understands that they will spend most of their working hours in their company's CRM updating contact records, reviewing prospects, and logging activities. But those who touch a CRM expand past just Sales. It can include support teams, marketing, admins, and even billing, which makes monitoring data cleanliness even more critical. Think quality over quantity here. When your CRM is full of irrelevant and dirty data it will work against you and cause frustration within your team. 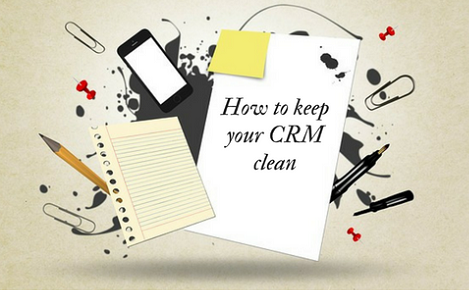 Having a clean CRM will positively affect lead quality, time to close deals, and nurturing and sales automation. Save your company money, and time, and see below for ideas for what you can do to help prevent your CRM from getting clogged up with irrelevant data. Before you implement a new CRM system, such as HubSpot or Salesforce, it is important to set rules and procedures around data entry. If you already have a system in place, it's not too late to change it! You will first want to start with cleaning up the data and then implement the new procedures. When implementing data standardization procedures, first look at where most of your data entry errors are being made. Is your sales team using abbreviations instead of spelling out the entire word? For example, some salespeople are lazy and make a contact's job title is "Assoc." instead of "Associate." Some will even use acronyms for company names such as "WFB" instead of Wells Fargo Bank. These inconsistencies can lead to misinterpretations which can lead to unclean data. It is absolutely critical to decide how you want your data represented in the CRM and communicate that with your team. Take advantage of data standardization settings within your CRM. HubSpot Sales has a setting that allows you to automatically create and associate companies with contact records. Not only does this eliminate a step for the sales manager when they create a new contact, but syncing these two types of records together will effectively manage both types of records in unison. In Salesforce, you can make certain properties required to ensure you are gathering the minimum amount of data necessary to qualify your leads. You will want to set a standard that the necessary contact information should be gathered such as first name, last name, and email, but also require other qualifying questions such as what services is the prospect interested in or how soon do they plan to start their project. No matter the current size of our CRM database, data standardization should be your first place to start. One of the key aspects of my sales enablement role is building and implementing workflows that make life easy for sales & marketing. There are many benefits of CRM automation, but one of the main benefits is implementing simple automation techniques will help reduce the time spent on data entry. The reduction of time spent on data entry will inevitably limit the possibility of data entry errors. As your sales team works through their leads, it is very important that they update the lead status as they move the contact through the funnel. If the lead status has been updated by Sales to reflect that the contact has expressed interest to buy but the Lifecycle stage is still reflecting 'Lead' this could cause confusing internally. The Marketing team could be emailing the contact content at the awareness stage while the sales manager is trying to close a deal. Most importantly - if their lead status is disqualified set the lifecycle stage to 'Other.' Don't waste marketing efforts on a lead that is not qualified for the sales team. 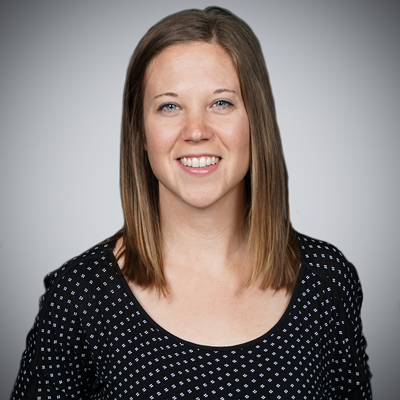 This little friendly reminder will help your sales team determine if a lead has gone dark. It can be easy to forget about your prospects that you haven't spoken to in awhile. Reignite their interest by sending them a quick and witty email just to stay hi. Don't let them forget about you, just like you don't want to forget about them. Make sure the last activity date matches your average sales cycle. This workflow can also be used as a simple and friendly reminder. You have a deal open. Great! Now make sure that you have a contact associated with the deal record. The same thing goes for Company records. When the deal is won, it will benefit you, and your team to know which contacts are Customers that generate revenue. This will help your marketing team send them information to delight them. These workflows require alignment between your sales and marketing teams so this is a little more granular, but still effective steps in keeping your CRM clean. Shuffling through all of your data can be tiresome and intimidating. In most CRMs, you can create lists and filters, but for HubSpot, you can easily create lists from all of your properties in the Marketing Lists tool. When creating a list, start by asking yourself which properties must be filled out to qualify if a lead is sales-ready. Now, take those properties and filter them even more. An example would be, 'Implementation Date' is unknown, and' Lifecycle stage' is equal to 'Opportunity.' If the results for your lists are very minimal--great your sales team can do their jobs. If the list is long, pull out a few of those contacts and dig a little deeper to try to find any patterns. You might find great coaching opportunities with your team or improvements to current system automation. Next, give your data quality a visual representation by connecting your HubSpot Marketing account with Databox. Databox is a Revenue River favorite when it comes to reporting and analytics. This tool allows you hook up many different data sources and customize each metric displayed on your Databoards. After you connect your HubSpot Marketing account, you can create custom list queries that update when new contacts are added or removed from your list. Monitor the progress of your data quality easily and effectively. Lastly, review your properties at least twice a year, and limit who has rights to create new ones, if possible. Make note of all properties rarely being used so you can revisit or delete them. Also, consider minimizing your use of text fields for properties as they can easily allow for misinterpretations and make filtering difficult. It is not uncommon to see properties such as Job Title as a text field and it is filled with the entire story of how the contact got this position. Of course, all of that information might be helpful, but it isn't necessary. All salespeople need is the job title. Monitoring data cleanliness is an ongoing process. If something was working a few months ago, that doesn't mean it is still is the best standard or process. Consider data and process standardization, using automation, and auditing your CRM every 90 to 180 days to get the most out of it. This is only the beginning when it comes to steps that should be taken to improving overall data quality, and let's be honest, the quality of life for your sales team. Reach out to our sales enablement team to learn more.